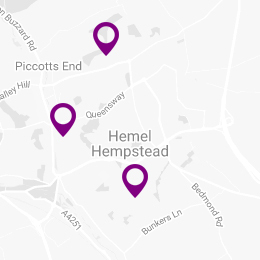 We have been established since 1980 and now have three thriving practices, which are all conveniently located in Hemel Hempstead. Every member of staff at Marlowes, Bennetts End and Grovehill, is dedicated to delivering the highest standards of NHS and private dental care. They are also committed to carrying out additional training, so you can always benefit from the most advanced techniques. All our practices also use the latest equipment, such as dental digital technology, for improved accuracy and speedier results. All our practices use the latest equipment, such as dental digital technology, for improved accuracy and speedier results. We make looking after your oral health easier by offering a variety of ways to pay. Our practices are also open from 9am-5.30pm on weekdays (closed for lunch between 1pm-2pm) and 9am-12.30pm on Saturday (except Grovehill).